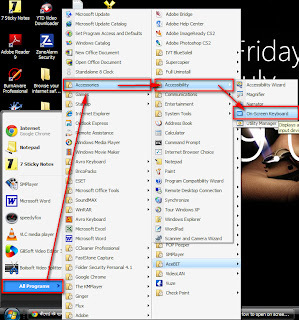 It Bangla tips and tricks How to open On-Screen keyboard in XP? How to use or turn On-Screen keyboard in XP? Suppose your keyboard is not working, but you have a work and you have to finish that work anyhow, but you no time to buy a new keyboard. At that time what you will do? Would you like to stop your work? Would you like to buy a new keyboard? No problem there is a solution in your computer. It's very easy, but sometimes we forgot that option. Now you can finish your work. 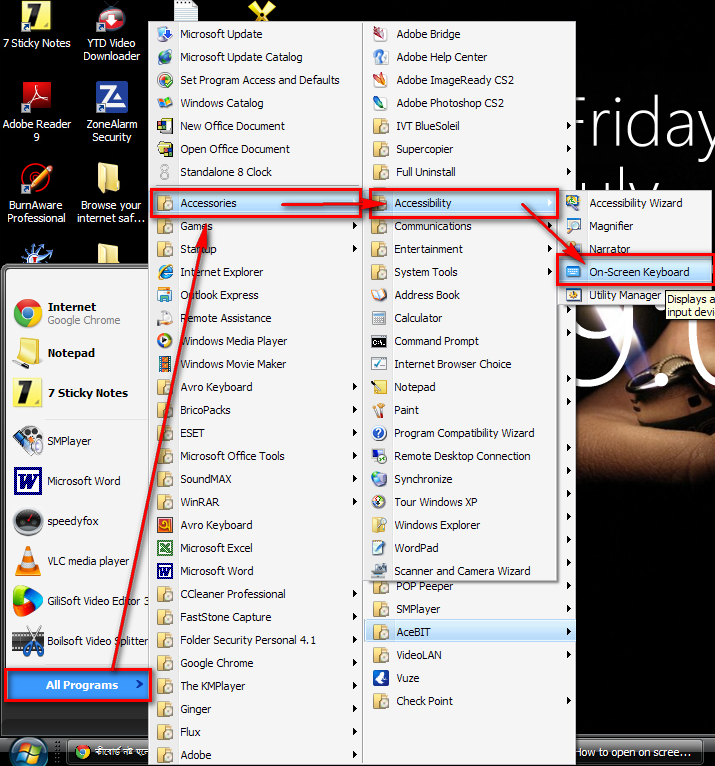 You can type in Notepad or Word pad or Microsoft word etc. Just click the mouse and type which you want to type. You can use your shortcut also. But better type with the mouse.